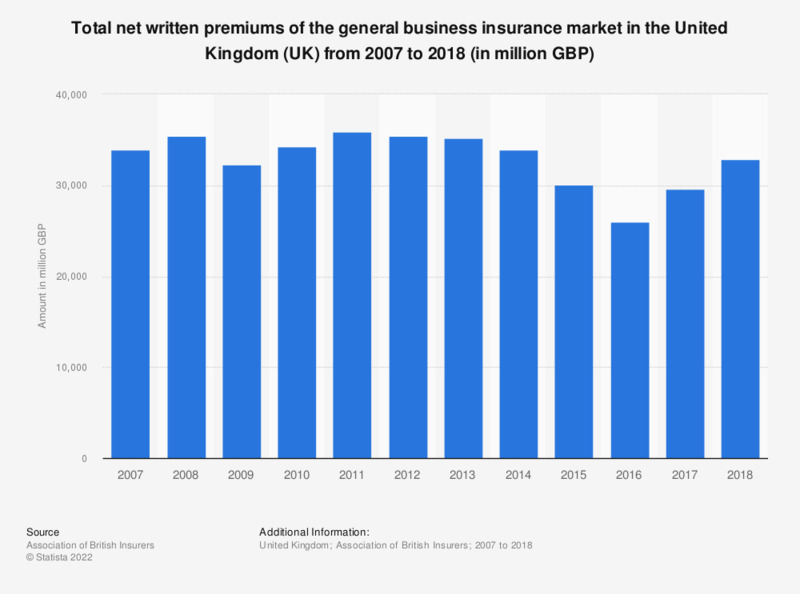 This statistic shows the total net written premiums of the general business insurance market in the United Kingdom (UK) from 2007 to 2017. In 2017, the total net written premiums amounted to approximately 30 billion British pounds (GBP). Includes UK risks, home-foreign, MAT and non-MAT premiums. Everything On "Insurance industry in the United Kingdom" in One Document: Edited and Divided into Handy Chapters. Including Detailed References. Statistics on "Insurance industry in the United Kingdom"